The third day of play at the 12th Bangkok Chess Club Open 2012 was the second but last double round. The morning round began at 9 a.m. sharp, so the maxim was “The early bird catches the worm.” Some players had to dig deep to find their top form shortly after breakfast. No doubt, for some of us chess is not a morning sport. Among the wide-awake, however, were tournament favorites GM Nigel Short, title defender GM Jan Gustafsson, Indian IM M.R. Venkatesh, and former champion GM Xiu Deshun all of whom took advantage of middle- and endgame inaccuracies by their opponents to squeeze out full points. 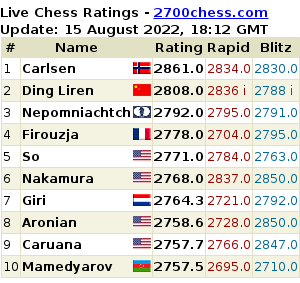 Rather unexpectedly, GM Hou Yifan and GM Farrukh Amonatov both dropped half a point. 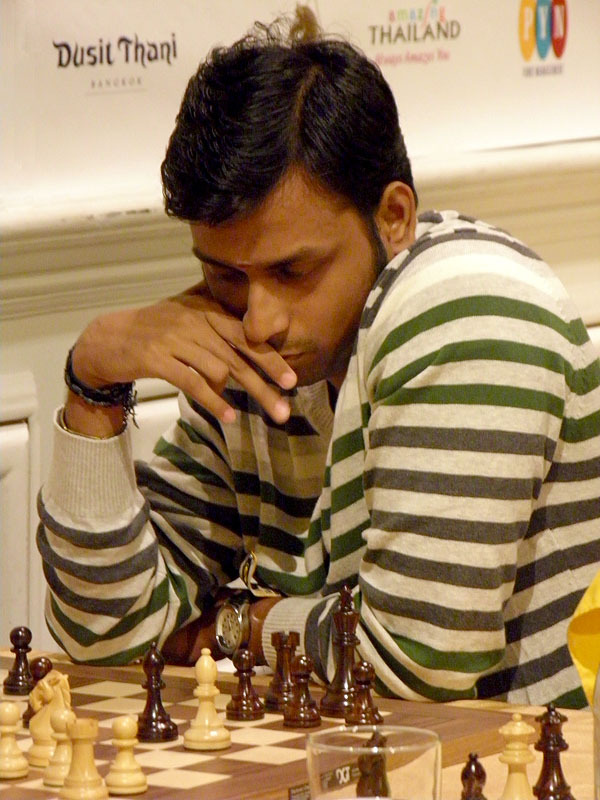 The surprise leader after four rounds was IM Venkatesh from India, remaining the only player with a clean sheet. He was followed by a pack of eleven players with 3½ points.